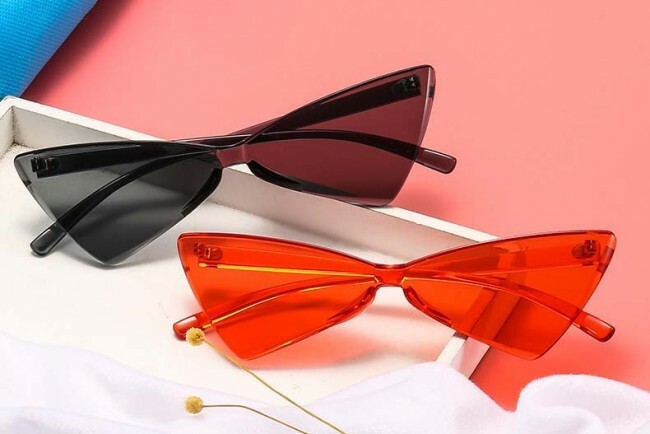 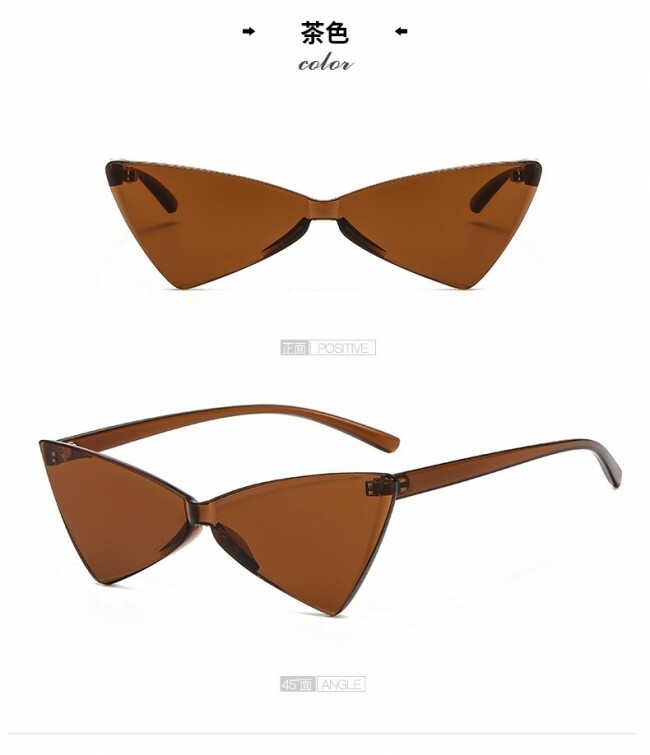 Cat eye silhouette features lightweight frame and vivid color variations. 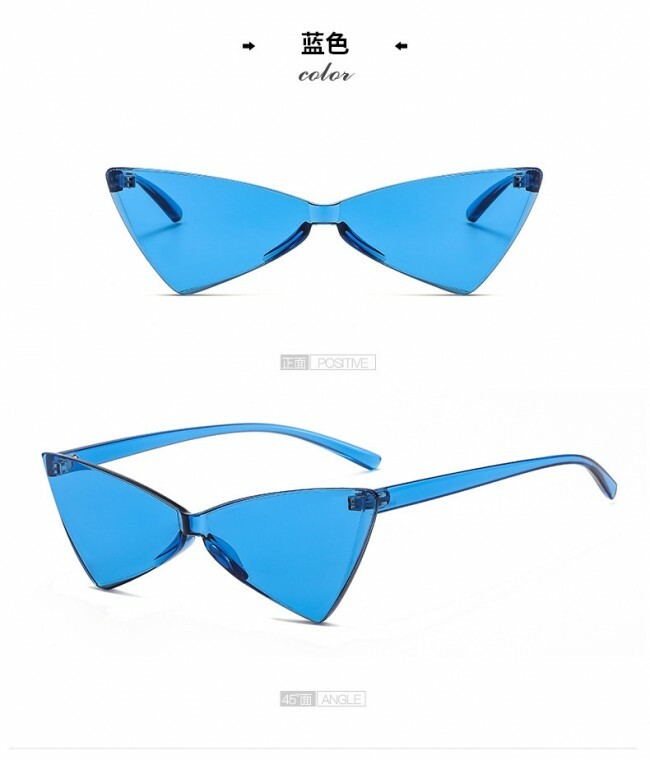 Exquisitely daring yet elegant, this futuristic style will demand all attention. 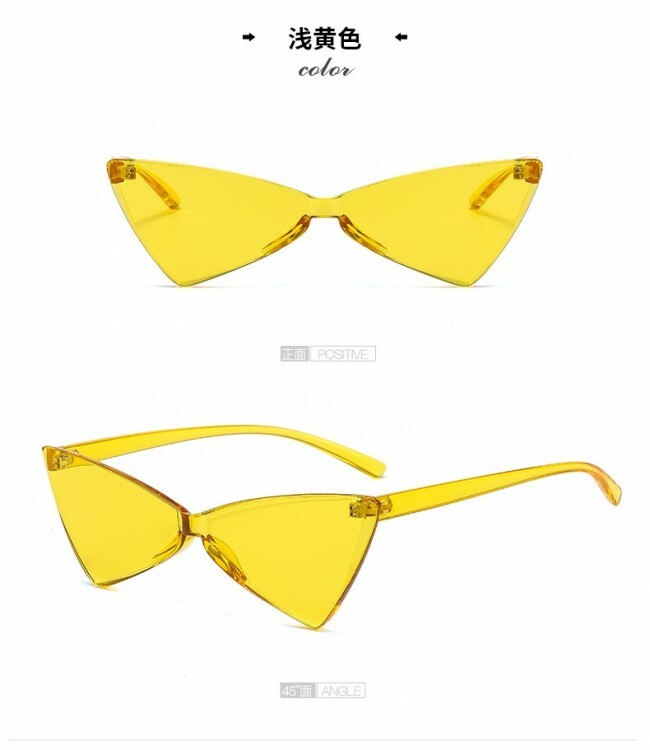 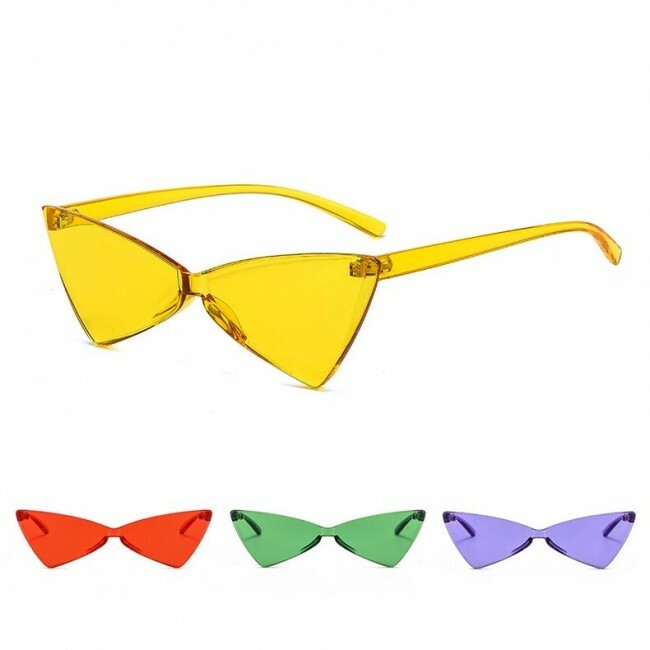 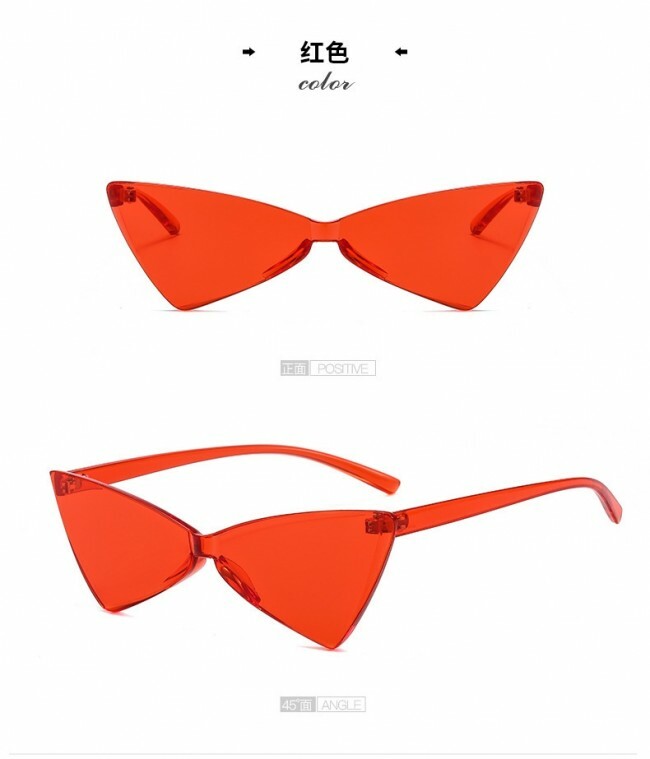 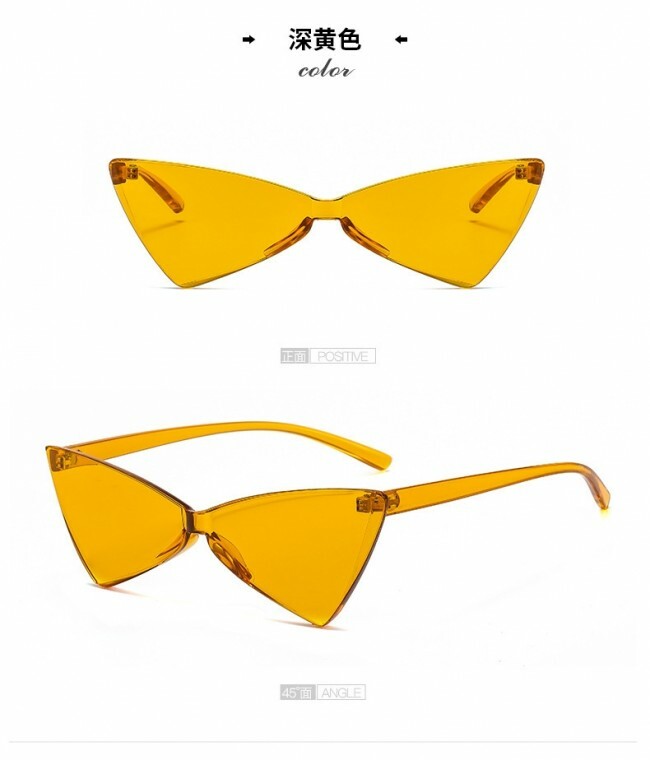 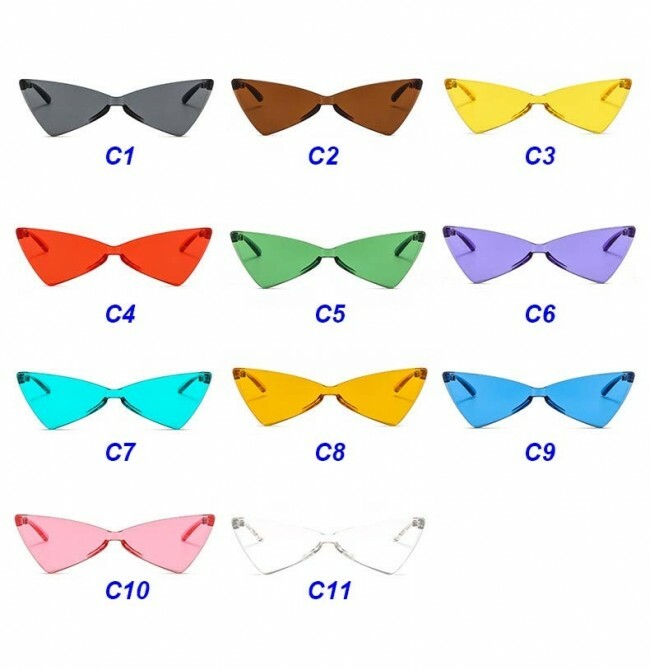 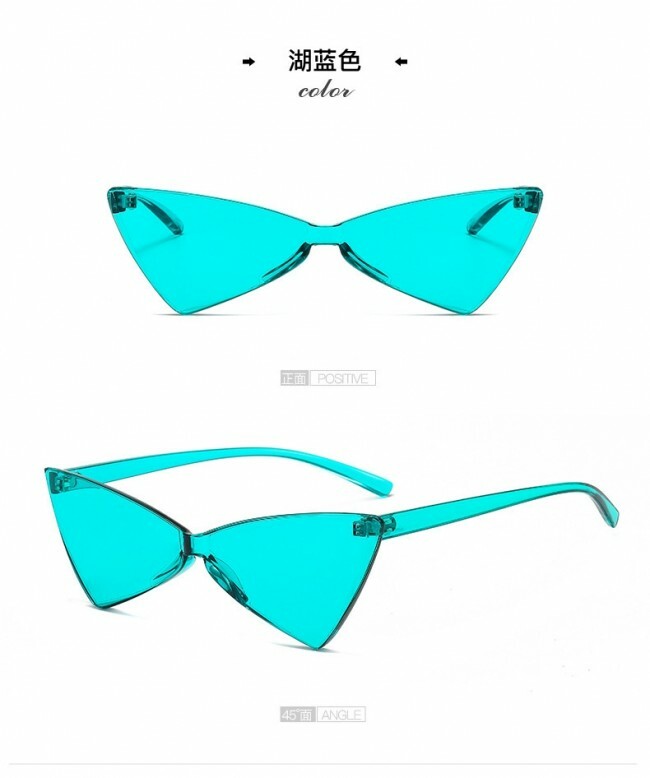 Eye catchingly vibrant fresh solid lenses and tone on tone array of colors. 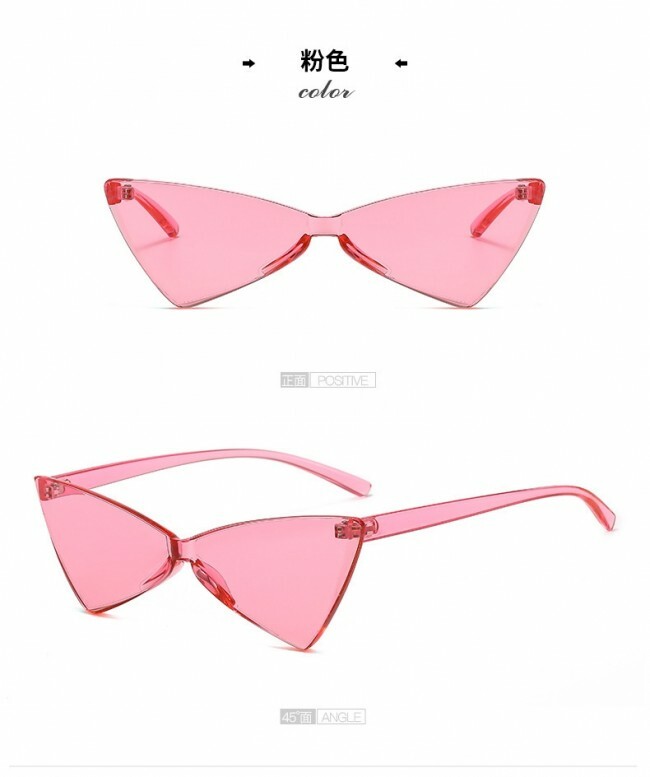 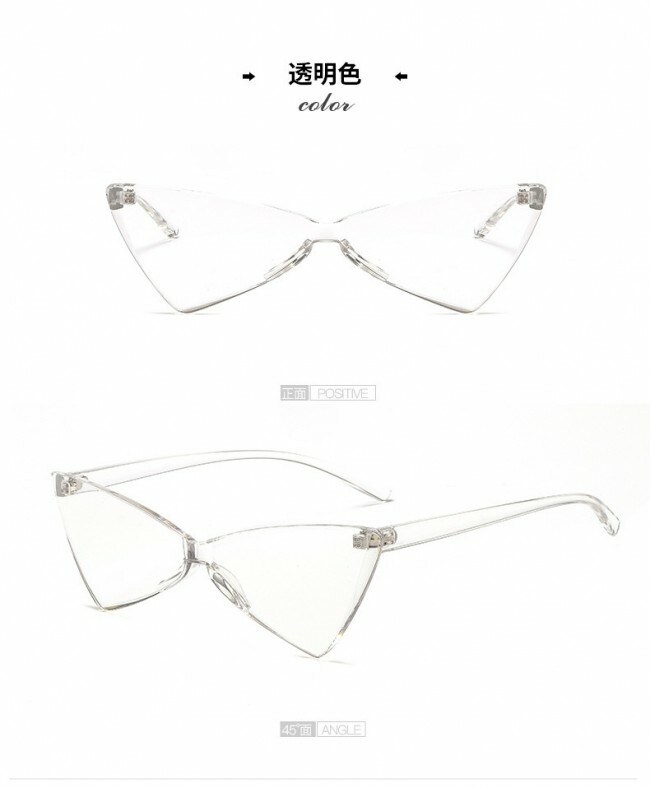 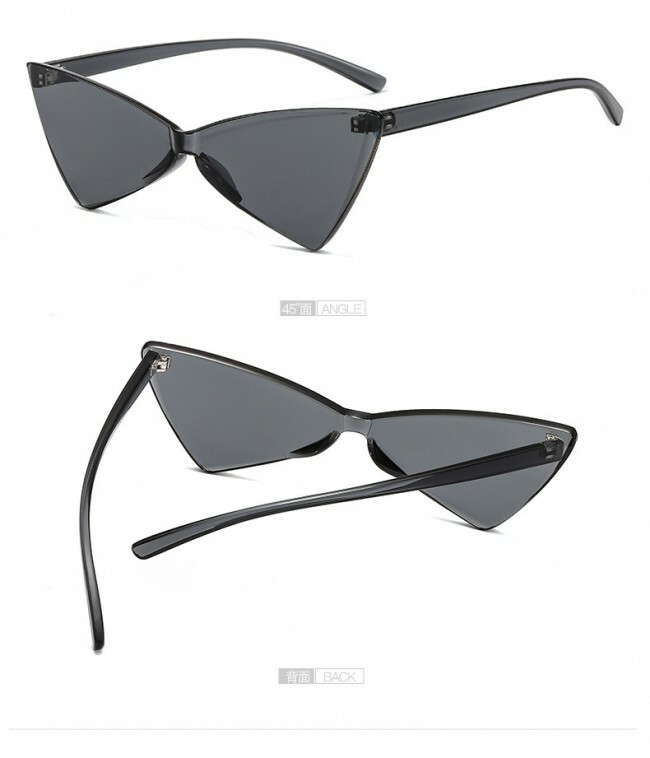 Made with acetate frame, metal hinges and candy color UV protected lens.